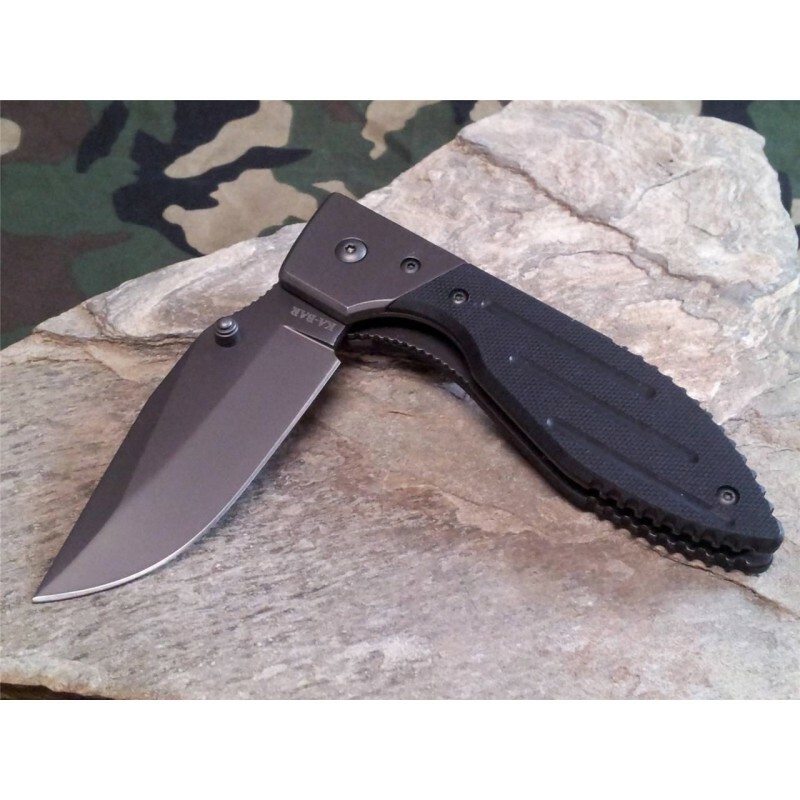 KA3072 Kabar Warthog II - 4 1/2" closed linerlock. 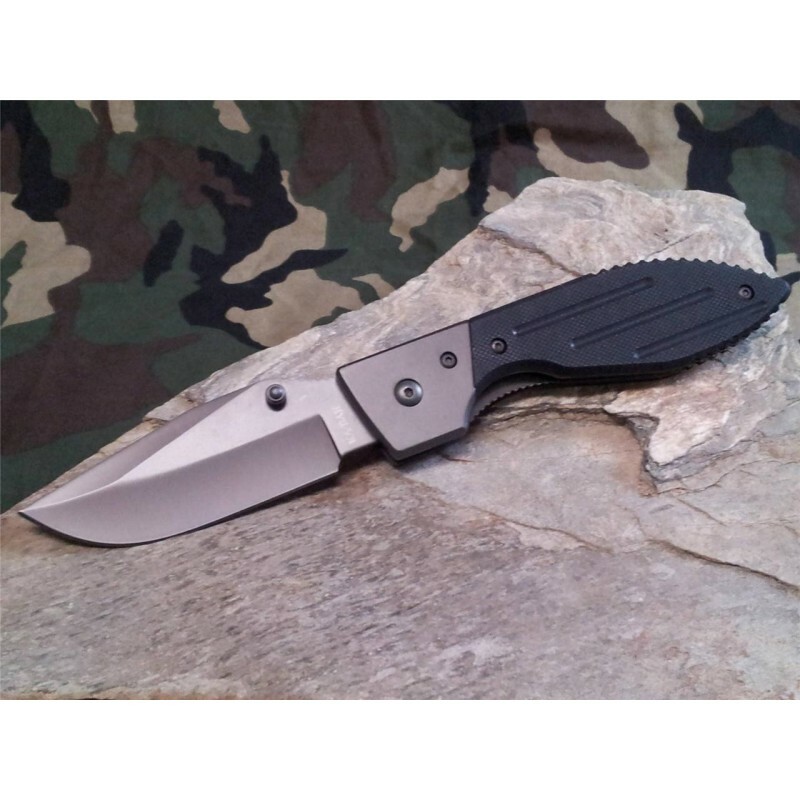 3" gray titanium finish 420 stainless standard edge spear blade with thumb stud. 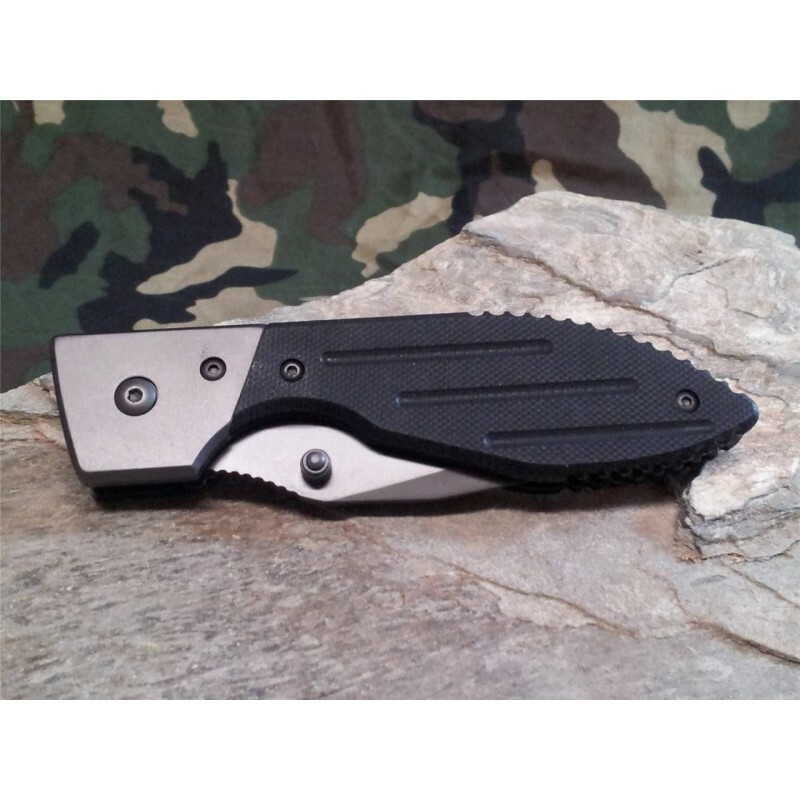 Reinforced tip of the blade is extremely strong making this knife not only an excellent every day carry option but also a great tactical tool for puncturing tough objects. Black G-10 handles with gray titanum finish stainless bolster. 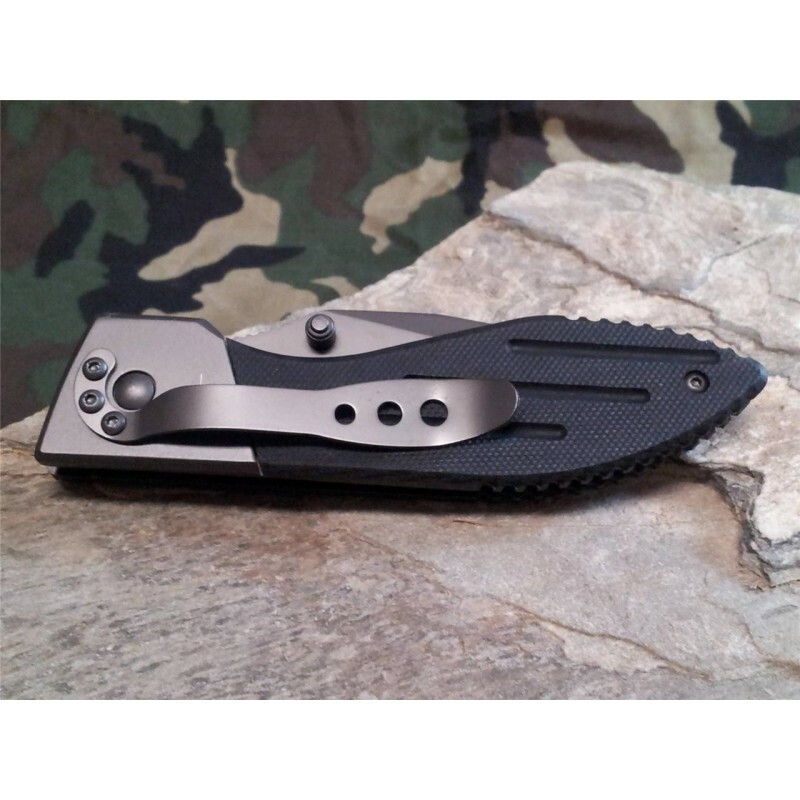 Gray titanum finish stainless pocket clip.